Fresh-frozen dungeness is best served simply steamed in an aromatic emulsion of water and optional seasonings like sea salt, bay leaf, garlic, pepper corn, course vegetable ends, spices, dried chopped cayenne peppers, or bay seasoning that is essentially a mixture of all of the above recommended seasonings in their dried and ground form. Dungeness crab is ready to eat the moment your olfactory senses [nose] can obviously perceive the distinct ocean like aroma of the hot fully cooked crab. A gentle and less obvious subtle scent will diffuse into air approximately 5 minutes before the crab is ready to eat. Careful – crab will be hot! Using crab in paeila or chippino, you may whole add legs or peices of fresh-frozen crab to your main dish while cooking other ingredients. 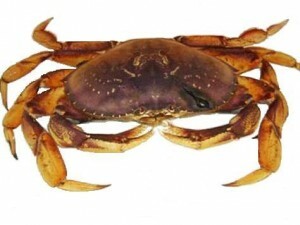 If you wish to shell crab first then it will be easier to remove the meat from the shell if you steam the crab then shell it, because Otolith’s fresh-frozen crab is partially fully-cooked in order to avoid over cooking while heating crab. Keep this seasonal delicacy simple. If you purchased Otolith’s Dungeness in season to assure the highest nutritional content and quality of your crab then your time will be best spend cracking and enjoying. Easy garden salads dressed with oil and lemon, half corn ears and baby red potatoes seasoned and steamed with crab and other ingredients in a large pot make a traditional yet contemporary unforgetable favorite meal. Optional – before serving, garnish cooked potatoes with chopped fresh parsely and serve crab with lemon wedges and melted butter for your corn. Any leftovers can be used the next day to make a quick and creamy corn chowder. Reserve 2 cups steaming liquid and leftovers under refrigeration for up to 5 days. When ready to make soup, cut corn from remaining cob ears, remove crab from its shell, and cut potatoes into bite size pieces and set aside. Using 2 cups cold steaming liquid, wisk to ccombine with an additional 2 cups cold milk and 2 Tablespoons of unbleached flour. Bring milk mixture to a low simmer and add all remaining leftover ingredients. Serve warm with paprika and chopped fresh chives or scalions. Top warm soup with schredded cheddar cheess or croutons if it seems thin or needs more heartiness.